Louise Harrington was starting to doubt that she had anorexia. She knew she was shockingly underweight, and she desperately wanted to gain at least 30 pounds. She had no desire to look like a model. She had no phobia of fatness. She wasn’t afraid to gain weight. She didn’t have any of the typical body image worries that overwhelm many people with anorexia. The psychologists and psychiatrists she visited couldn’t comprehend what was driving her behavior. When she was in her 20s, one doctor told her she couldn’t have an eating disorder because she didn’t have a fear of fatness. Other therapists said she was either lying or in serious denial. The assumption that her anorexia was necessarily driven by a desire to be thin further frustrated and alienated her, so she stopped trying to get help. It wasn’t until she turned 40 and she was fainting regularly at work, and was in and out of the hospital with malnutrition, that Louise tried, once again, to get psychological help. For the first time, a psychiatrist connected Louise’s longstanding social difficulties with her rituals around eating, and brought up a possibility that no one had never mentioned: autism. She was diagnosed with autism shortly thereafter. “The diagnosis has helped me to understand why I struggle so much with life,” Louise said in an email interview, her preferred form of communication. It also helped her understand her eating disorder, which functioned not as a way to lose weight but rather to feel in control of her anxiety and the world in general. In fact, if it were possible to under-eat and over-exercise without losing weight, she says, she would do it. The only thing Louise seemed to have in common with others who have anorexia was near-stratospheric levels of anxiety. On the surface, autism and anorexia couldn’t seem more different. People with autism are supposedly not attuned to the emotions of others, whereas people with anorexia are commonly thought of as oversensitive young girls hell-bent on fulfilling cultural ideals of thinness. But strip off the misconceptions, and the two conditions are far more similar than anyone believed, says Janet Treasure, a psychiatrist at King’s College London and director of the eating disorders program at Maudsley Hospital in London. Emerging research shows that people with either condition have difficulties understanding and interpreting social cues, and tend to fixate on tiny details that make it difficult to see the big picture. What’s more, both groups of people often crave rules, routines and rituals. Genetic studies also suggest overlaps between autism and anorexia. Anorexia is not the only eating disorder connected to autism. Although the majority of research on eating disorders in autism has been focused on people who routinely eat too little food, some women with autism may also turn to food for comfort. Recognizing that someone has both autism and an eating disorder is only the first step. Few psychologists have expertise in helping people who have both conditions. Historically, eating disorder treatment mandates group therapy, but people with autism often have difficulties with social interactions. This treatment also requires that the individuals make dramatic changes in their eating routines, often in a short period of time. But some people with autism find it challenging to meet this demand because of their insistence on sameness. As a result, many people who have both autism and anorexia find it difficult to recover from their eating problems, and are less likely to recover than those who have anorexia alone. Louise and others like her are demonstrating that although the overlap between autism and anorexia is more common than anyone realized, there are still few effective treatments for this dual burden. To explain anorexia, psychologists often point fingers at modern Western culture and its emphasis on an excessively thin female body. But skeptics point out that if this were true, the prevalence of anorexia would be a lot higher than 1 in about 100 people, which is what it is today in the U.S. and other Western countries. Early genetic studies in the 1990s showed that anorexia is strongly heritable and tends to run in families. Others began to link anorexia to personality traits such as anxiety, perfectionism and a tendency to get stuck on certain thoughts or ideas. In the early 2000s, psychologist Nancy Zucker, who runs the eating disorders program at Duke University in Durham, North Carolina, wanted to better understand some of the social and cognitive difficulties many of her patients experience, in order to provide better treatment. As she began to search the literature, she came across some studies on autism and was struck by the similarities between the cognitive profiles of the two conditions. In particular, she noticed that people with anorexia struggle to recognize the impact of their behavior on others. “They can be very empathic and have a great desire to be accepted by other people, but they also seem a bit impervious to how their starvation affects others,” she says. In that sense, she says, people with anorexia seem a lot like those with autism. Zucker wasn’t the first scientist to make this connection. The first study on the two conditions was a 1980 case report of a young girl with ‘atypical’ anorexia and autism. Three years later, Swedish psychologist Christopher Gillberg published a British Journal of Psychiatry paper that hypothesized a link between autism and anorexia. Over the next 20 years, the field languished. But in the mid-2000s, Treasure, Zucker and other scientists picked up on this trail. In 2007, Zucker and her colleagues outlined the potential links between autism and anorexia in a 31-page review article that revealed just how similar the two conditions can be. People with anorexia often have difficulties making friends and sustaining social relationships even before the onset of their condition. Because high levels of social discomfort and withdrawal persist even after they begin eating regularly and return to a normal weight, these social difficulties are not likely to have been caused by anorexia or malnutrition. The review pointed to numerous studies of people with anorexia that documented rigid patterns of thinking and behavior, an insistence on sameness and difficulty with change — all of which are commonly seen in people with autism. Lastly, neurocognitive studies showed that people with anorexia have trouble with what Treasure calls “seeing the forest for the trees,” and also with mentally switching between different tasks. These traits, the researchers pointed out, are also seen in people with autism. A year later, Treasure’s group in London demonstrated that women with anorexia score significantly higher on the Autism Spectrum Quotient, a self-report questionnaire that measures autism traits, than controls do. A 2014 study in Molecular Autism found that although only 4 percent of the 150 girls receiving outpatient treatment for anorexia at a London clinic had possible or probable autism spectrum disorder, one in four scored above the cutoff for autism on a screening questionnaire. This finding suggested that the girls had high levels of autism traits, even if they did not have a clinical diagnosis. A separate study in 2012, also by Treasure’s group, found that the starvation brought about by anorexia exacerbates the autism traits clinicians and researchers see. Even after recovery, they found, women with anorexia continue to struggle in social situations and with cognitive skills, although not as much as when they are acutely ill.
“They were also incredibly rigid and inflexible, and there’s the idea that, perhaps, that part of the autism syndrome might be a particular risk factor for developing a restrictive eating disorder,” says William Mandy, a psychologist at University College London who was involved in some of these studies. Mandy’s background is in autism, not eating disorders, and he wanted to investigate these links more fully. In 2015 he conducted lengthy interviews with 10 women who have eating disorders whose charts had been flagged for social difficulties or possible autism. He found that all of them had issues with social interactions and food that long predated their eating disorder. Also in 2015, a large Danish study found that close relatives of people with anorexia have significantly higher levels of autism and related diagnoses than would be expected by chance, suggesting that the two conditions share genetic and neurobiological links. Like many girls on the spectrum, Zoe and Louise had both coped okay through primary school, where friendships and play were more structured and social situations relatively simple. To camouflage their differences, they practiced and copied the mannerisms and gestures of other girls to navigate tricky social interactions. But as they got older, social demands increased, making them feel alienated and anxious. “The other girls just seemed to know how to talk to people. And I didn’t. But I found if I stopped eating or made myself sick, I could at least be thin like them,” Zoe says. Mandy says girls like Zoe may find that controlling food and weight is a way to either fit in with their peers or to alleviate their overwhelming social anxiety. When Zoe started starving herself, it made the anxiety seem less important and helped it pass more quickly, two key aspects of what psychologists call emotion regulation. When a brain is starving, it is so focused on finding food that other emotions can seem less important. Physiologically, starvation decreases serotonin levels in the brain. Anorexia researcher Walter Kaye at the University of California, San Diego hypothesizes that people vulnerable to anorexia have an excess of serotonin in their brains that leaves them feeling continually anxious and uncomfortable. Starvation may alleviate this state. Even positive traits that girls with autism may have, such as a strong will and dogged determination, can be hijacked to fuel a burgeoning eating disorder. “If you’re someone who’s very determined, who sets your mind on something and doesn’t budge from your cause, that can play into it when dieting trips over into something more sinister,” Mandy says. And some people use food in a different way — overindulging rather than starving themselves — to suit the same emotional needs. Elizabeth, a 44-year-old living near Chicago, gained more than 100 pounds as a teen and young adult. She over-ate to quell the anxiety fostered by her difficulties with social cues, both at school and with her abusive family. As she got older, her quest to lose the weight and improve her health sent her spiraling into anorexia. “It was all about routine and ritual. Either I ate all the time because that was just what I did, or I didn’t eat and I exercised all the time,” she says. It’s only over the past 5 to 10 years that researchers and clinicians have begun to recognize the overlap between autism and anorexia, so no one has yet been able to say with any precision how many people are affected. Jennifer Wildes, who directs the University of Pittsburgh’s Center for Overcoming Problem Eating, says the number of people with both autism and anorexia is likely to be small. Although many of the people she sees in her practice do have difficulties making friends and meeting new people, these problems generally improve with recovery, she says, leading her to believe that the difficulties are caused by anorexia rather than autism. Wildes has seen thousands of people over the years, and says only a handful also had autism. “I really don’t think that having autism and anorexia is really all that common,” she says. Zucker and Mandy also say the number of people with anorexia and diagnosed with autism is relatively small — somewhere between 5 and 10 percent of those who have anorexia. However, they point out, even in the absence of diagnoses, the level of autism traits, such as difficulty making friends and interpreting social cues, in people with anorexia is high — enough to affect a person’s chances of recovery. In any case, little is known about how to treat the subgroup of people who have both conditions. Louise found that many of the psychologists she saw became frustrated and angry with her anxiety-induced meltdowns and inability to change. Believing herself defective and unable to make progress with her eating and exercise, she stopped treatment. It wasn’t until she found the psychiatrist who didn’t pigeonhole her into what’s known about anorexia that she was able to start the long process of breaking free from self-starvation. Taking into account the distinct needs and characteristics of people with autism is key, says Craig Johnson, clinical director of the Eating Recovery Center in Denver. At their inpatient and residential facilities, for example, psychologists often protect children and adolescents with autism or other developmental difficulties by separating them from older, more chronically ill patients because their emotional and social maturity may lag behind their intellectual ability and age, Johnson says. The clinicians also rely less on group therapy for these children, emphasizing individual therapy instead. “We always had this subset of patients who didn’t do very well in group therapy, and our response was, ‘Well, let’s put them in more groups,’” he says. “It just alienated them even more; now we know better.” Providing a small range of food choices, as well as clarifying rules and expectations, also tends to help people with autism and eating disorders recover successfully, he says. When the treatment doesn’t account for the presence of autism, it can potentially be harmful. For example, a genderqueer 26-year-old from Atlanta who goes by the name Rabbit was hospitalized in 2013 for an eating disorder. When at home, the physical repetition of fidgeting with keychains, hand-flapping or doing sit-ups had helped to slow down Rabbit’s thoughts and ease anxiety; self-induced vomiting also had given Rabbit an ‘empty’ feeling, devoid of emotion. Rabbit knew that the vomiting, along with exercising excessively and not eating, was harmful, but that didn’t make it easier to stop. The bathroom doors at the hospital were locked, and the hospital staff confiscated Rabbit’s beads and other sensory stimulation toys, leaving no good way for Rabbit to cope with strong emotions. Instead of providing empathy and support, they treated Rabbit as defective or naughty, which only amplified Rabbit’s fear and frustration. “The only way I could find to cope was to run over my foot repeatedly with my wheelchair until I did quite a bit of damage,” Rabbit says. How well someone recovers can vary with age. Adolescents who have both autism and anorexia are just as likely to recover as those with anorexia alone, according to a 2015 Swedish study, although they are more likely to struggle with ongoing psychiatric difficulties. Conversely, adults with autism and anorexia are significantly less likely to recover — perhaps, as Treasure points out, because their anorexic behaviors have become so ingrained. Still, even if the information comes later in life, it can be valuable. Holly, 41, was diagnosed with autism roughly two years ago after a lifelong struggle with anorexia. Like Louise and Zoe, the Illinois-based mother of two was fussy about food as a child and, as a result, markedly underweight. As a child, she found that skipped meals brought her a sense of calm and control. “It wasn’t until I got to middle school or high school that I had the cognitive development to understand that I could bring this state on deliberately,” Holly says. 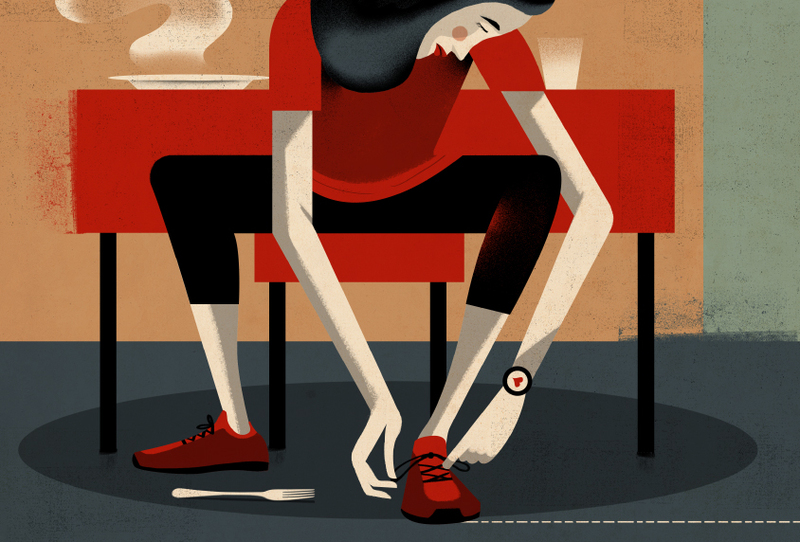 It was as a teenager that she began regularly skipping meals. When a friend read a book by Temple Grandin, the well-known scientist with autism, she recognized similarities between Holly and Grandin. So Holly began to investigate, and her discovery that she, too, had autism changed her life. She had spent the past several years in therapy gaining and losing the same few pounds and never really making progress. After her diagnosis, she and her therapist worked together to help Holly tackle her eating disorder using a new approach. Instead of focusing on increasing the variety of foods she ate, they agreed to have her increase the amount of the food she did eat. They also reviewed their plan, point by point, at the beginning and end of each session. As a result, Holly began to gain weight and, just as importantly, not lose it later. It wasn’t an entirely positive experience. Being labeled with autism left Holly with a profound sense of grief; she says it felt as though her lifelong efforts to be “normal” had failed. She is also angry that eating disorders are viewed as a quest for thinness rather than potential signs of deeper issues around food and social interactions. “Everyone just wrote off my quirks as ‘Holly being Holly,’ and I think all those years of starving myself have really changed my brain,” she says. Still, the knowledge had an impact that went beyond her own life. As she went through the autism assessment, she recognized many traits in her then-10-year-old son. He, too, was later diagnosed with autism. Around this time, he also developed many of the habits that Holly had had as a child, such as picking at his food and eating only a few bites before declaring he was full. As a result, his previously robust frame shrank to skin and bone. For that, and for finally having the tools to understand herself, she is grateful. “Without that diagnosis, I wouldn’t be where I am today,” she says. Louise, too, is ultimately grateful for her diagnosis because it proved that she wasn’t defective, just different. It also helped her understand why her eating and exercise rituals were so hard to break. Instead of completely eliminating these routines, she worked to develop new ones that would enable her to reach a healthy weight, which she did last year for the first time in 40 years. Life remains difficult for Louise, due in large part to her autism and severe anxiety. But the eating disorder she once had, at least, is no longer part of the problem. This article was republished in The Atlantic. I think it’s important to understand that autism and anorexia are both ‘diseases’, not illnesses. They are diseases classified by symptoms, not by causes. It is likely, more than likely, that there are many different illnesses called anorexia, and many different illnesses called autism, waiting to be classified by cause. When they are classified by cause, we will begin to understand. Hi, Autism is NOT a disease !! A person can have a unique feature, a disability, an illness, etc. A doctor diagnoses and says the person has a disease. A disease is not what is present, it is the name given by a doctor. Autism is a name given by a doctor, in the act of diagnosing a disease. However, a diagnosis of autism says little about the actual condition of the patient. The person doesn’t actually have the disease autism, because the disease is a general concept, not a specific case. Each person is a specific case, with individual causes, features, consequences and choices. Researchers are gradually discovering the role of the gut microbiome in neurology and behavior. Microbes can turn on — and turn off — genes. They generate neurochemicals. There is more neurochemistry in the gut than in the brain. To suggest that someone inherits via genes ignores the fact that they also inherit microbes that control those genes. Sadly, the NIH is the only government agency working to discover more. The FDA is deliberately blocking research, since it could lead to so many cures. Those cures will devastate the pharmaceutical industry, which is committed to creating lifelong expensive drug regimens, not inexpensive one-dose cures to strengthen your microbiome. Therapists and psychiatrists are something. It wasn’t until my 50’s that a so-called zen “gestalt” psychologist made the simple statement, “you’ve got anxiety.” Wow! Not one of the many that I saw could bring themselves to cough up the key words. Beyond that guy the only one with anything going on besides a prescription pad was the former head of psychiatry at a major NYC hospital. He admitted there was nothing he could do, didn’t prescribe any medication, didn’t charge me the $300.00 and gave me some visualization exercises. Sometimes you get lucky. I have Aspergers and an Emotional Overeating Disorder I use food as medicine to feel better and I too have certain rituals about food. I will bring this article to my therapist even tho I am not Anorexic maybe my food disorder is closely related to my autism as well. With respect, this is not so. Autism has brain differences, with areas of under-connection and over-connection. Look up neural pruning. I have done years of research. You are coming at this from a spiritual perspective which I respect, but that doesn’t mean it is correct. Bizarre. If someone meets or exceeds the cut-off for autism screening then they have autism. Sometimes also even when they don’t meet the cut-off because females present differently to males and the autism tools have been researched on males alone. I would hypothesize that many of those with comorbidity of autism and anorexia have thiamine deficiency and in many cases this is fundamental to etiology. Thiamine deficiency decreases appetite which is characteristic of anorexia and causes oxidative stress and other biochemical abnormalities many of which occur in autism. Empirically thiamine deficiency appears to be quite common in those with anorexia. See: http://www.ncbi.nlm.nih.gov/pubmed/11054793. In addition many of those with autism have thiamine deficieny. See: http://www.ncbi.nlm.nih.gov/pubmed/12195231. Perhaps somebody should do a trial of giving people who have this dual diagnosis thiamine. Empirically I have found that the benfothiamine has greater therapeutic affect in autism. I have autism and anorexia, and in intensive therapy I have met a few others who have both too. I think that another link may be between the need to find control and have things in a certain way and order – for example at the height of my illness if the food was touching or on a certain plate I could not eat – there’s. Also there is of course the susceptibility of an autistic person to become obsessive, therefore things such as losing weight can quickly escalate. I think that while perhaps they might not develop for the same reasons – as one is a developmental disorder and the other a mental illness – if you happen to suffer from both they tend to fuel each other. I just wish people would try to understand that for some people at least, ED’s are not simply irresponsible self inflicted illnesses and not everything in life revolves around body image. Sometimes its about how eating certain things makes someone feel i.e. bloated, nauseous etc. Yet this is hardly touched on in the drive to ‘treat’ the ED. Too many assumptions are made and people with ED’s are not listened to. People with autism do experience sensory issues, and this complicates ED treatment when comorbidity is present. I just wish professionals were as willing to listen to the patient voice as much as to the anorexic voice. Hi Carrie, I 100% agree with you. I have struggled with eating issues for years and am confident it is in an effort to control my internal physical sensations, energy level, etc. rather than weight loss. I am looking for others who share the same challenge, as I feel like a minority in the ED community. Do you know of any resources or places where I can connect with others to talk about our stories? This article is amazing. So well-written and thought-provoking. As a clinician working with eating disorders and autism I see the risk of creating more harm in treating someone with autism in our traditional ED model. Thank you! It’s an old article i know but I think my experience is relevant. I have a family member who has had an eating disorder for 5 years, and has been hospitalised twice. The first time they were admitted at 12 years old, they were diagnosed in hospital with Aspergers. What a revelation that was. Over the months visiting hospital, i spoke to about 50 young people in the hospital with eating disorders. 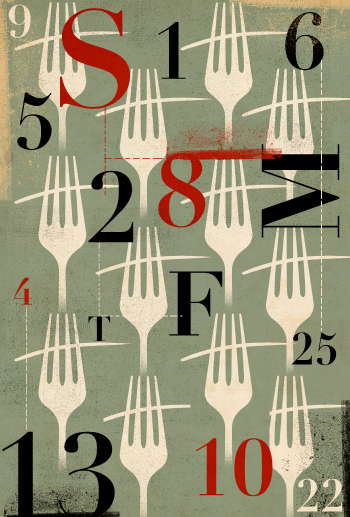 About 30%, typically, of eating disorders patients also have autism. The comorbidity is very strong, so much so in fact that Janet Treasure, perhaps the world’s foremost expert on eating disorders, is now arguing that an eating disorder is a form of autism.